No crafty post today....well maybe, the fine art of Greek Pasty making I guess to some is a "art". Busy today getting the ingredients....Tomorrow is a day that I somewhat dread every year. Baklava making day. My mom and I have been doing this every year since I think I could hold a knife and she was doing it before that with her mom. Greek Tradition. 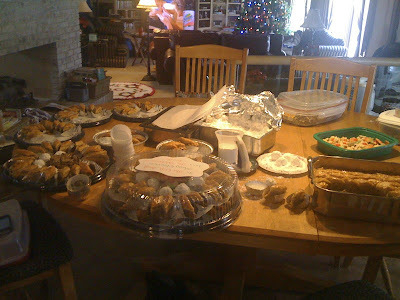 I love the time spend with my mom doing this, but it is WAY out of control....At the hospital where my husband works they EXPECT and COUNT on it every year along with about 10 other types of cookies and Greek pastry. In addition to that almost every other person we know asks for some every year....well this year is going to be a little different. My mom isn't totally up to the GRAND plan and either am I. 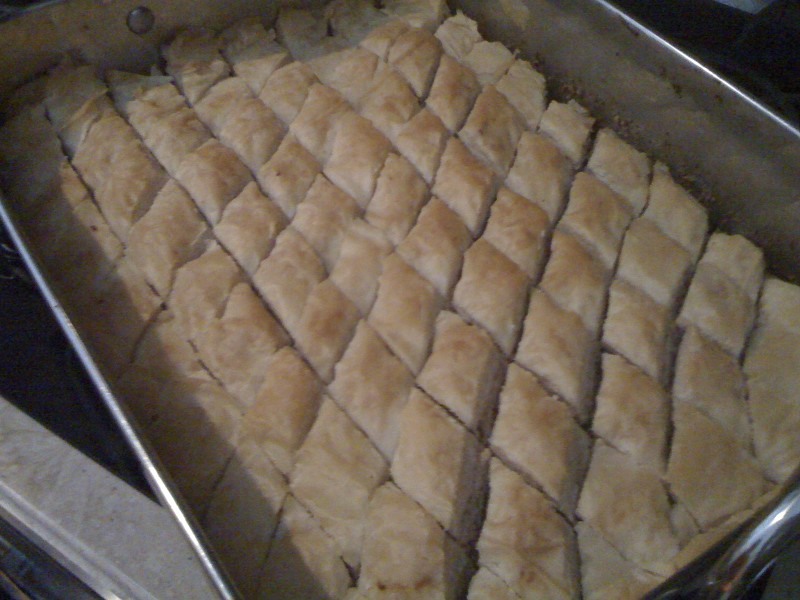 The Baklava is a go but not all the other cookies and pastry. There will be one other kind, but that's it. The beginning of the packing process. I'm not showing you the days in between of the sticky yucky mess of putting the honey on and cutting it all apart. See that finished dish on the edge of the table??? There are about 10 of those just for the hospital....Just Crazy!! There have been some funny stories over the years--especially the year my husband dropped them all in the parking lot on the way in...not so funny then, but very funny now. So tomorrow--this is where I will be. But also check back here tomorrow because it is also a very special day for me!! I'm Guest Designing for a friend of mine! I can't believe I missed this when I visited this morning. Oh the yummy-honey goodness. Oh, I wish I were there too! What a wonderful way to spend time with your mom!! I'm getting hungry....! 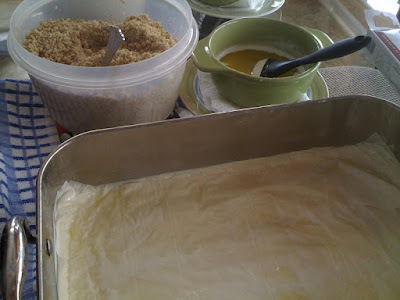 I too came here from MPS and love your site - your post hit home with me - my MIL is hungarian and the pastry always needed to be prepared in huge batches; loved it but hated it; now that she has passed away we really have fond memories; my daughter and I try to keep up a baking tradition but on a much smaller scale! Your baklava looks yummy - my dh's fave but now I buy it!